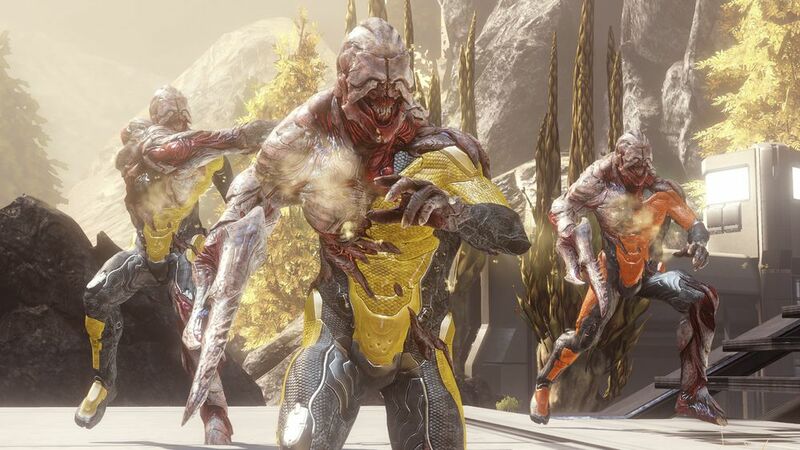 The parasitic enemies in the Halo universe known as The Flood, or simply Flood, will not make an appearance in 343 Industries latest installment Halo 5: Guardians. The Flood did not appear in Halo 4’s campaign, however they appeared in a new take of the popular Infection multiplayer game type. With the release of Halo: The Master Chief Collection the Infection game type for Halo 2 Anniversary was also updated with new Flood like characters. This entry was posted in Halo 5: Guardians and tagged 343 Industries, Halo, Halo 5, Halo 5: Guardians, Xbox, Xbox One by Chief Canuck. Bookmark the permalink. Thank goodness. I hate the Flood.